Just what is it that the Prime Minister’s handlers are afraid of? In the opening couple of weeks of the UK general election campaign we have witnessed the Prime Minister being whisked around the country, to speak to closed audiences of Tory party loyalists, while real people, and the media, have been largely excluded from these events. We do know that, in a similar way to the then Prime Minister, David Cameron’s, general election campaign in 2015, the plan is to be risk averse. With whopping leads in the opinion polls for the Tories, and their leader personally, then the rational tactic is to avoid anything that might dent this advantage in the few weeks of the campaign proper. Cameron also managed to get the televised party leader’s debate watered down so that his appearances were only fleeting and avoided a direct debate with the then Labour party leader Ed Miliband. May has gone even further in dodging the debates and will not appear at all apart from being interviewed separately on the same programme, as Jeremy Corbyn the Labour party leader. It is clear that May is not very good at thinking on her feet, and looks awkward when being interviewed on TV, and she falls back on a robotic chanting of slogans like ‘strong and stable leadership’ and the alternative of a ‘coalition of chaos’ if Labour wins. She isn’t really a natural for today’s media requirements from politicians. Corbyn, on the other hand looks to be thoroughly enjoying the campaign, and speaking at rallies is definitely more his type of thing than the weekly Prime Minister’s Questions in Parliament. Although, May isn’t too good at this either. The Labour leader certainly has more of a common touch than the Prime Minister, and whatever you think of his policies, you would need to be blind not see the warmth of his personality, especially compared to May. The Labour campaign team know this, and are trying to play to this Corbyn strength, but the value of it is limited by the refusal of May to debate directly with Corbyn, or to risk exposing herself to awkward questions from the public. I think there is more to this than just presentational style though. I must admit that after the referendum, when Cameron quit, looking at the contenders to take over as Prime Minister, I was quite relieved that May won, especially when the run off looked to be between May and right wing loon, Andrea Leadsome. May has turned out to be just about as bad as I thought Leadsome would be. 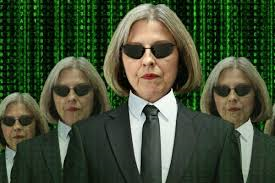 May of course, as Home Secretary, was the one that sent ‘immigrants go home’ poster vans around multi-ethnic areas, and forced through the ‘snooper’s charter,’ electronic surveillance of UK citizens, but I thought she was at least reasonably sensible - but I was wrong. Watching May since she became Prime Minister, has left me with the impression of her being a ruthless individual. She sacked the Chancellor, George Osborne, and the Education Secretary, Nicky Morgan, with some relish it seemed to me, like someone settling old scores, not someone to bring her party, let alone the country, together. Then there was her speech to the Autumn Tory party conference last year. In particular two key phrases contained within the rhetoric stood out. Ominously, she set about attacking anyone she suspected of not agreeing with her 100% on Brexit, and much else. “If you believe you are a citizen of the world, you are a citizen of nowhere,” she said, and “Those who still believe Britain has made a mistake in leaving the EU are just patronising members of a liberal metropolitan elite.” A direct assault on ‘cosmopolitan’ attitudes. It was uncomfortably close to German anti-Semitic discourse, adopted by the Nazis in the 1930s, of the ‘rootless Jew.’ It also bears a striking similarity to the term “rootless cosmopolitans”, deployed by Stalin to justify his late 1940s purge of Jewish intellectuals. May fought tooth and nail through the courts to stop Parliament having a meaningful say on Brexit, and when the courts disagreed with the her, May stayed silent on the right wing media’s accusations of treason, with the infamous ‘enemies of the people’ headline about the appeal court judges, who correctly interpreted the British constitution. May now rails against the European Union (EU), for ‘interfering’ in the UK general election, when leaks revealed that Jean-Claude Juncker, the EU commission president, after dining with the Prime Minister, described her attitude on Brexit as being ‘from another galaxy.’ May’s response was to vow not to be bullied by the EU. All questioning of the wisdom of the great leader, must be quashed. By calling the general election, after months of saying there would be no election, the reason May gave was to strengthen her position in the upcoming Brexit negotiations, but it is a dubious assumption to think it will alter the EU’s stance one jot, whatever the size of May’s majority in the election will be. Cast your mind back to the negotiations between the EU and the Greek government over the country’s debt, armed with a supportive referendum mandate. The other reason, apart from political opportunism while Labour is in disarray, and I think the main reason May had a change of heart on the election, was to strengthen her position in the UK Parliament, where she wants to crush any dissent completely. Kind of along the lines of the US military in Vietnam’s ‘we had to bomb the village to save it,’ May wants to destroy Parliamentary democracy, and impose her will on the nation. It is a common tactic for dictators, using nationalism, racism and xenophobia to consolidate their power. If May wins big on 8 June, be afraid, very afraid for the future of this country.